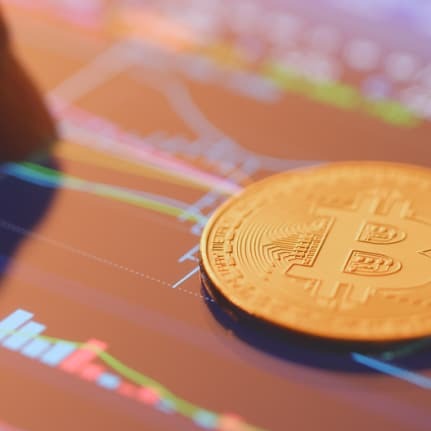 There has been a vast increase in the value of cryptocurrencies in recent years and this may have brought a number of people into the tax regime without them even realising this to be the case. It is a fact that numerous trades can take place in cryptocurrencies without any actual cash receipts ever being crystallised. So how are such trades subject to tax? Let us start with gambling, is trading in cryptocurrencies a bet? If you bet on Liverpool to win the Champions League or Lewis Hamilton to win the Monaco Grand Prix you can do so within a virtual environment, much the same as buying and selling a cryptocurrency. Therein though, is the reason the buying and selling of cryptocurrency is not gambling. In the case of Liverpool and Lewis you are not actually buying anything whereas with a cryptocurrency you are in fact acquiring an asset. If you buy and sell assets it will fall to be taxable assuming a profit is made. If losses are made they will be available to be utilised as well. If profits on cryptocurrencies are to be taxed which tax are they subject to? In the vast majority of cases the tax in point will be Capital Gains Tax. Any profits would be subject to Capital Gains Tax and any losses would be able to be offset against any gains in the same year, or, if losses are too high to be relieved in the same year they can be carried forward indefinitely. If the profits accrue in a company then they would be subject to Corporation Tax on Chargeable Gains, and losses treated as Corporation Tax losses available for offset. Please note, and this is important, an individual or a company may have an exposure to tax even though no cash has ever been received. Any trade even if it is in a virtual setting will potentially give rise to a liability. As I have already stated the vast majority of trades in cryptocurrencies will be subject to Capital Gains Tax, however, if the buying and selling of cryptocurrencies becomes a trade then any profits will be subject to Income Tax, where tax rates are considerably higher. It is not the subject of this article to determine if an individual is trading or otherwise but it is possible to perhaps mitigate any problem by incorporating the trade. If you have concerns in this area, then do call us. Cryptocurrencies are in reality treated in the same way as any other asset or trade, the difference being perhaps that as the trades are conducted through the ether, the tax and reporting requirements may be overlooked. Ignore them at your peril.